The Leviton Omni Security and Automation Controller series is one of the tried-and-true workhorses of the home automation world since about 1985. Along with providing rock-solid security, it allows for control of the major systems in your home such as lighting, temperature control, access control and other automation functions. It is one of the most versatile and capable automation controllers available today. Leviton has an app available that makes the entire system accessible from the palm of your hand. As the Omni series has been working for many, many years in thousand and thousands of households and businesses around the world, home automation has been advancing at the speed of light. 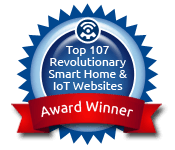 Z Wave, Zigbee, new advanced WiFi control systems, new protocols, new categories within those protocols, and completely new methods of accessing and operating your home control system are the norm nowadays. Plus, new companies with new devices seem to emerge daily, all the while the Omni panels have been there, providing service to their owners. The latest of the “new” things in home automation is Voice Control. You are probably familiar with the line of Amazon home assistant devices that started with the first Alexa-powered Amazon Echo about a year and a half ago. This advanced voice-recognition tool has started a trend that is fueling the popularity of home automation at wildfire speed and has spawned several different versions in the product line. Instead of pulling up your phone to push your “All Off” button when it’s bedtime, why not ask Alexa to turn all the lights off as you head down the hall? How about asking Alexa to turn on the “movie scene” when it’s time to dim the lights to watch TV? Is it a little warmer than expected today? Just ask Alexa to turn the A/C to the desired temperature. Most of the controllers and systems out today have an Alexa “Skill” that is downloaded to the user’s Amazon Echo app, which in turn interfaces with the controller, allowing Alexa to control devices over the local network. Now there is a method of integrating that level of control into an Omni panel. Enter HomeSeer. HomeSeer is a long-standing company in the home automation space that is well-known for their very capable software. Part of their software capability comes in the form of third-party apps that enable control over a variety of protocols. You can control UPB lighting, Z Wave and Zigbee devices, various security panels, IP security cameras and more. One of the third-party apps that has been developed is the Omni app. With the software running on the local network, you can enter information from the Omni panel that will allow the HomeSeer software to speak with the Omni. When that is complete, you simply create “virtual devices” within the HomeSeer Omni plugin and, just like that, your Omni panel is equipped with voice control just like the newer control systems currently available! All you need is a HomeSeer HomeTroller and an Alexa device or two around the house! While this may be a bit of an over simplification, with just a couple of parts you can add voice control to your existing Omni Security and Automation Panel and bring it into the 21st century. To buy a HomeSeer unit or for questions on how to integrate your Omni system with Alexa, call our toll free number at 800-266-8765 (7:30 a.m. to 4:30 p.m. Pacific, Monday – Friday) for free product advice and technical support.